The Reel Paddling Film Festival is returning to Yellowknife! 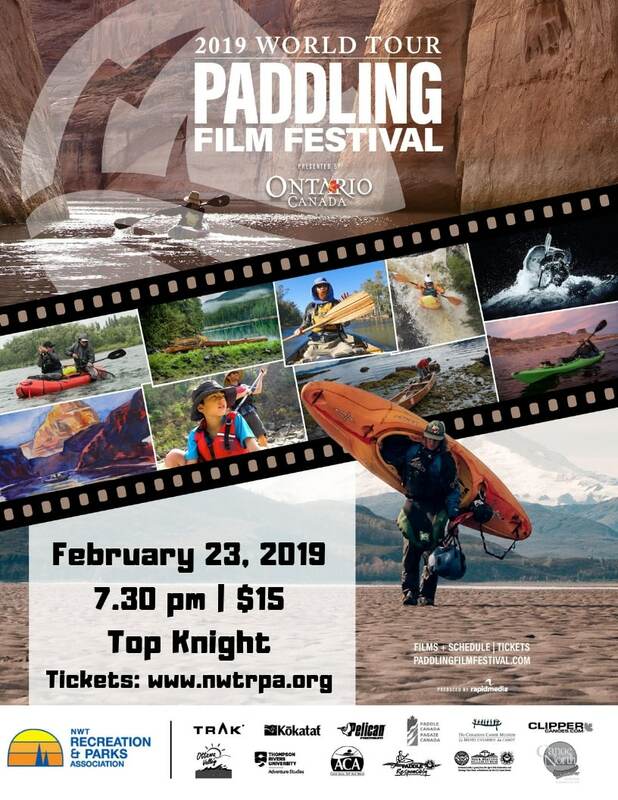 The NWTRPA and Western Arctic Moving Pictures (WAMP) are co-presenting a screening of films from the 2019 festival on Saturday, February 23, 2018, at 7.30pm at the Top Knight. Proceeds from this event will benefit Camp Connections and Northern Youth Leadership. Tickets for the Yellowknife screening are $15 and are available at https://www.eventbrite.com/e/reel-paddling-film-festival-yellowknife-tickets-736866989. The Reel Paddling Film Festival is an international adventure film tour presenting the world’s best paddling films of the year—whitewater, sea kayaking, canoeing, SUP, action, and lifestyle—in more than 120 cities and towns across Canada, the United States, and around the world. Festival films range from short comedy sketches to hair-raising adventures to inspiring documentaries representing a new level of achievement in paddlesports filmmaking and storytelling. The Reel Paddling Film Festival World Tour is produced by Rapid Media. For information about the festival, contact Jess Dunkin (jdunkin@nwtrpa.org | 867.669.8376).